Iran's Leader should "practice what he preaches"
The Iranian Interior Ministry is obligated to issue a permit for a planned rally in support of pro-democracy demonstrators in Egypt and Tunisia, consistent with Iran's international commitments to respect the freedom of assembly and Article 27 of the Iranian Constitution, the International Campaign for Human Rights in Iran said today. The Campaign also expressed grave concern for detained Egyptian human rights defenders and called for their immediate release. "If Iran's leaders truly embrace calls for freedom and democracy in Egypt and Tunisia, they will allow Iranian citizens to express solidarity with their brothers and sisters in those countries," stated Hadi Ghaemi, the Campaign's spokesperson. On 4 February 2011, at Tehran University, Supreme Leader Ayatollah Khamenei characterized the popular uprising in Egypt as an "Islamic awakening," and likened the demonstrations in Egypt and Tunisia to the 1979 Islamic Revolution in Iran. Khamenei derided Egyptian President Hosni Mubarak and ousted Tunisian President Zine El Abidine Ben Ali as opponents of freedom. Iranian Foreign Minister Ali Akbar Salehi associated himself with the protests in Egypt as well, stating on the Foreign Ministry's website that "we are going along with the freedom seekers of the world." "If this request to exercise human rights is rejected, it will show that the current government of Iran is not only repressive and akin to those of Mubarak and Ben Ali, but deeply hypocritical as well," Ghaemi added. "Ayatollah Khamenei should thus practice what he preaches." "In order to show solidarity with the popular movements in the region and specifically the freedom-seeking movement embarked on by Tunisian and Egyptian people against their autocratic governments we hereby request a permit to call for a rally -- as Article 27 of the constitution authorizes - on Monday, Feb 14, 2011, at 3 p.m. from Imam Hossein to Azadi Square (in Tehran)." While Egyptian Foreign Minister Ahmed Aboul Gheit on 5 February accused Ayatollah Khamenei of "distracting the Iranian people's attention by hiding behind what is happening in Egypt," the Campaign stated that Egypt and Iran are obligated to respect their international human rights commitments. The Campaign expressed concern about violence against Egyptian demonstrators, leading to many injuries and deaths, and violations of the rights of Egyptian and international human rights activists and journalists who have been arbitrarily detained since the onset of demonstrations, some of whom remain in custody. On 3 February, military police detained 35 activists and journalists at the Hisham Mubarak Law Center. While they have since been released, a number of others arrested during protests have not. "Egyptian authorities have made many of the same mistakes Iranian officials made when they were faced with widespread demonstrations for human rights in 2009, including using excessive force and attacking civil society," Ghaemi said. "Both governments should concern themselves with protecting the rights of their own citizens in accordance with universal human rights principles," he said. 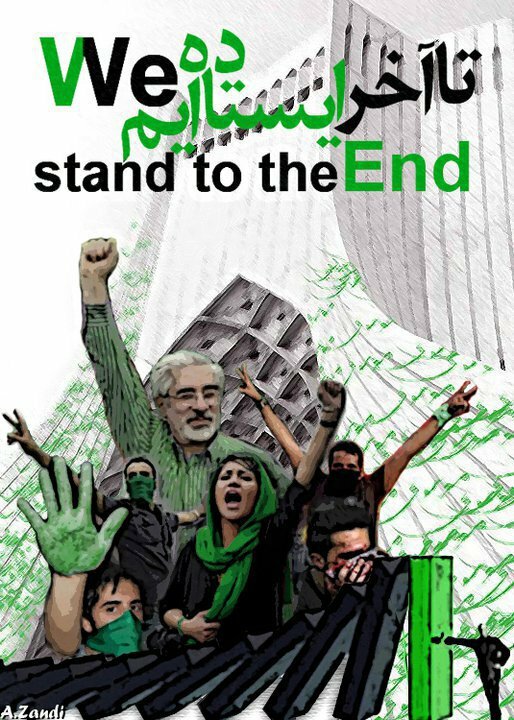 The Campaign called on the Iranian government to end its police state siege of public spaces that has deprived Iranians of their right to freely assemble. Iranian reform party welcomes February 14 rally - The Iranian reformist organization Islamic Iran Participation Front is urging people to join the February 14 rally in support of the Arab uprisings, so long as the government issues a permit.